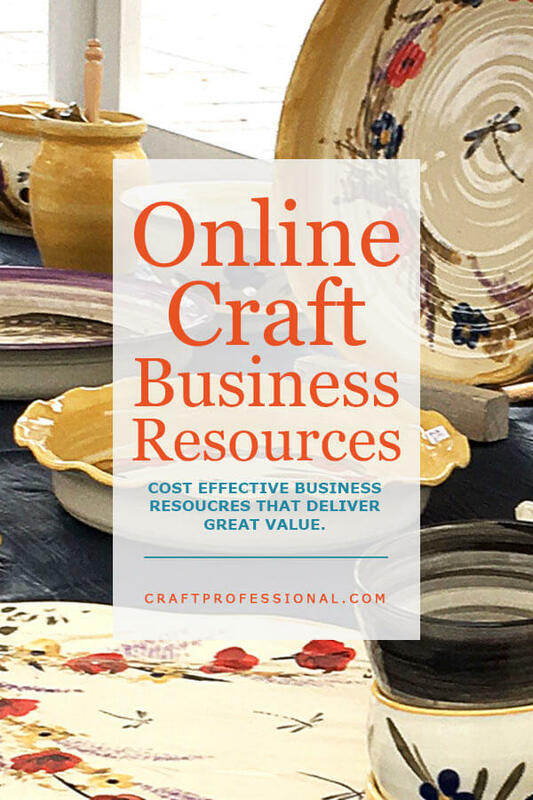 Find craft business resources that are cost effective and deliver great value for your time and money. I have put a lot of time and research into finding good resources for my own online business. Here are several tools I use. I hope this list saves you time when you're searching for resources for your own business. You will find information about art business resources all throughout the site, but, of course, when you're looking for a specific resource, it's easy to forget which article you read that mentioned a resource that was of interest to you. So this list should help you to find resources quickly. Please note that some categories have fewer resources than others. 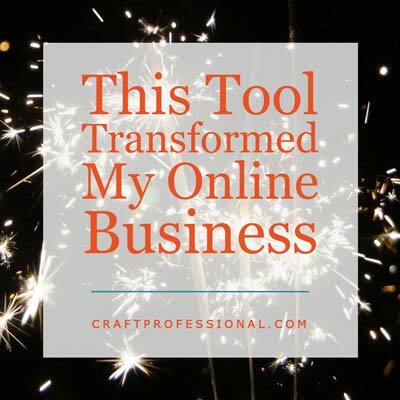 I'm not posting every resource out there, rather, I'm only posting craft business resources that I have used and been happy with myself or have been recommended by other professional craft artists and small business owners. I use an online business building resource called SBI! (Solo Build It!) for building this website. I've been a customer for over 10 years. SBI! is a lot more than just a web hosting company, they provide all of the instruction and resources you need to take your idea for an online business and turn it into a site that gets traffic and makes sales. In addition to web hosting, SBI! provides an extremely thorough Action Guide which shows you step by step exactly how to build a site that gets traffic and can be profitable. The Action Guide is integrated with a system of tools that makes website building easy even for the non-technically inclined. SBI! provides resources on everything imaginable. 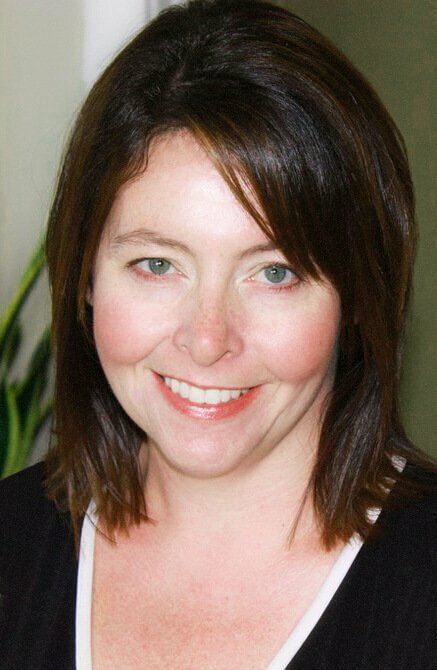 I get trustworthy, current research and advice on best practices in web business building. I don't have to research all of that on my own, which massively frees up my time to focus on actually building my business. An SBI! subscription costs $299 per year, and, every year, it's the smartest $299 I spend. Other companies just give you the basics you need to build a website. SBI! gives you the comprehensive information you need to build a business. 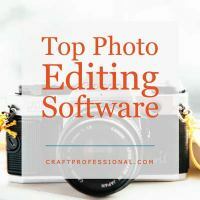 Editing digital photos for online sales and juried art show applications has become a necessary skill for craft professionals, so I've put together an article outlining some excellent free and inexpensive image editing software for your computer and apps for your mobile devices. There are also some higher end, paid options if you need more functionality; however, unless you're a pro photographer or digital artist, you'll probably find everything you need in the free and inexpensive options. Paint.net is a free graphics editing software program designed for PC. Unfortunately, it is not available for Macs. I used this software regularly until I made the switch to a Mac. Paint.net is simple to use, and there's a very good chance it will offer everything you need in photo editing software. As a bonus, Paint.net is very similar to Photoshop, so if you decide to move up and purchase Photoshop in the future, you'll have an easy time learning that software if you already know your way around Paint.net. Gimp is another free image editing software option, and it is available for both PC and Mac. I have tried Gimp, but I found it wasn't very intuitive to use. Don't take my word for it, though. Plenty of people absolutely love Gimp, so just because it wasn't right for me, doesn't mean it won't be right for you. Canva is a website that allows you to create images for social media. You can use it entirely for free, or add some of their premium images and templates for very reasonable prices. A keyword search tool will help you discover what terms people are using to search for any topic, so you can focus your writing in a way that helps your site get found at the search engines. SBI! (mentioned above) offers an excellent keyword search tool called Brainstorm It as a part of the package. It will show you what people are searching for in any niche, how many people search for each phrase and how many websites provide serious information on that topic, so you can see how much competition you'll have. This is the tool I use all the time for building my site. Word Tracker is another search tool you can use to discover what keywords people are searching for online. It has less functionality that Brainstorm It (Brainstorm It incorporates data from Word Tracker plus other rich databases), but it's a starting point, and there is a free trial version as well as a paid version available. Google Analytics is a free, easy to use tool which allows you to gather in-depth statistics about how visitors find and navigate your website. This information is vital for internet entrepreneurs who want to understand the traffic to their site. As your traffic grows, and you become more adept at analysing and understanding your traffic, you may start to notice fluctuations in your traffic and you may wonder where those fluctuations are coming from. Perhaps traffic has dropped, and you need to know why so you can fix the problem. Maybe traffic has grown, and you want to know why so you can build it even more. Information from Google Analytics can help you understand your traffic on that level. StatCounter is another tool for gathering statistics about your website's traffic. It doesn't provide the same stats as Google Analytics, but the cool thing about StatCounter is that you can get real-time data about what visitors are doing on your site. If you're concerned about plagiarism (unfortunately, my site has been plagiarized more than once), Copyscape allows you to search for copies of your web pages on the internet. The basic search is free, or you can pay to subscribe and access more in-depth protection. I pay for the in-depth, full site search from time to time just to look for anyone who has copied my site. Unfortunately, there are always a few copiers to be found. Here's where you can find statistics you may need when researching and creating a business plan and government resources that can help you launch your business. CERF+ provides emergency relief and resource to craft artists who have experienced some type of disaster situation. Listing of American state craft councils. List of American regional craft councils. Canadian government funded organization promoting career in the culture sector. You can access several of their own interesting studies on their site. Australian government council supporting the arts and artists. 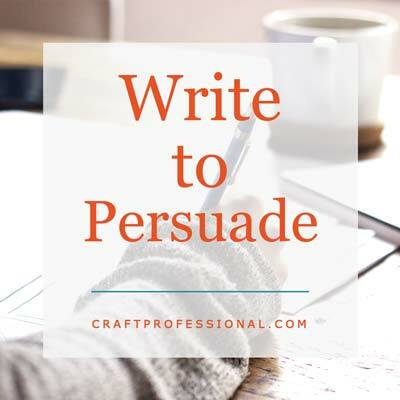 An excellent, free 250 page guide to learn to write to sell. My online business story - Here's how I became an accidental internet entrepreneur. 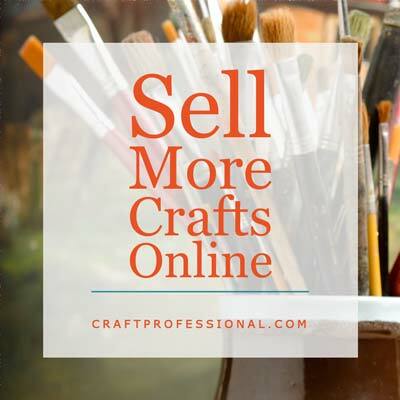 Plenty of tips for selling crafts online.